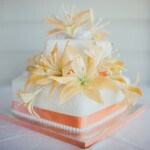 Maleny + spring wedding + Emma Nayler Photographer. If you’re not already thinking, ‘magic’, you soon will be! Brendan and Lorina were married at Maleny House of Laurels in the Sunshine Coast Hinterland on a beautiful spring day earlier this year. 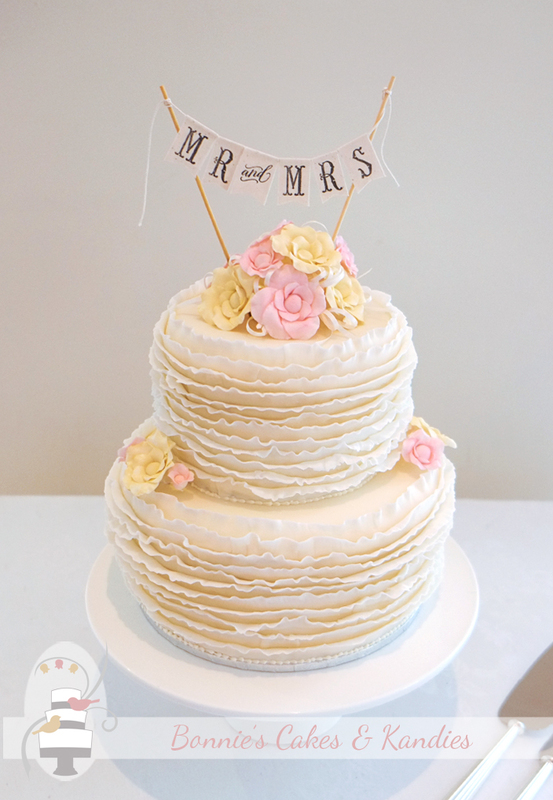 I had the pleasure of creating their wedding cake and was very happy to see nothing but sunny skies as I delivered it to their venue. 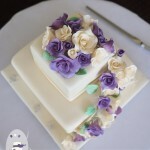 The lovely couple chose two tiers of chocolate fudge for the cake flavour, to be served with tea and coffee. 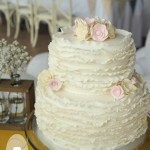 For the decorations, the cake was covered with romantic edible ruffles and soft pink and champagne coloured icing flowers. 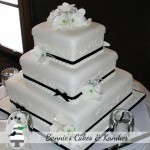 Brendan & Lorina supplied a great bunting cake topper, which added the finishing touch. Now, I did promise magic, didn’t I? Amazing photographer Emma Nayler has put together a collection of absolutely gorgeous images from the day. 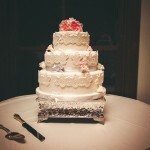 From sweet moments with their grandparents, to a cool kombi, some very friendly cows, and a wonderful fun photo of the cake cutting – Brendan & Lorina’s wedding day looks to have been nothing short of, well, magic.